A year ago today, I was so ecstatic I finally had my baby girl. A year ago today, I was having horrible headaches which noone could explain, so the doctors (neurologist included) prescribed me Motrin. A year ago today, baby girl and I were finally discharged from the hospital. A year ago today, I was so excited to fall asleep with my baby girl. A year ago today, I woke up with my entire family staring at me and the paramedics in my bedroom. A year ago today, I was so confused why my husband kept asking me what my name was. A year ago today, I saw Mr. A crying and I wasn’t able to comfort him. A year ago today, I felt like I was “in trouble” as if I did something wrong. A year ago today, I was rushed to the nearest hospital. A year ago today, I had my first cat scan. A year ago today, I was told I suffered a seizure and stroke. A year ago today, I was told they saw a bleed in my cat scan and I had to be transported to another hospital to see the neuro specialist. A year ago today, I was told I had an AVM that bled while I was in labor with baby girl. A year ago today, I was told I would have to undergo surgery to remove the AVM. A year ago today, I wasn’t sure if I would be alive to see my baby girl’s first birthday. 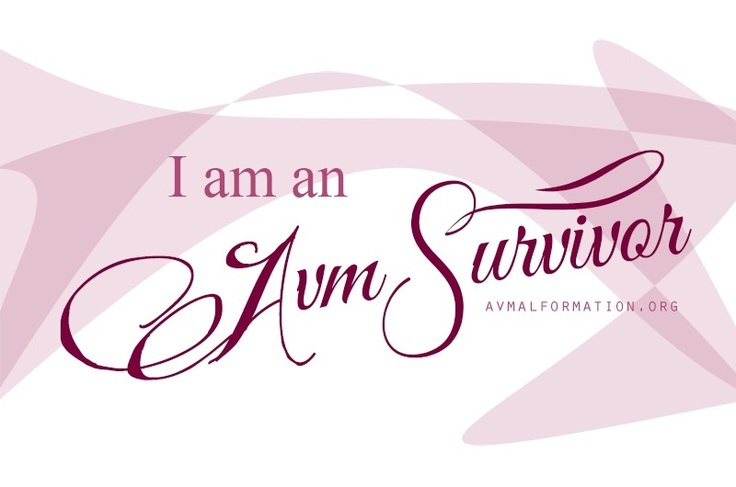 Today I am an AVM survivor! We just celebrated our daughter’s 1st birthday yesterday. Her birthday means so much more to me than celebrating her birth but celebrating ME! I am thankful for my husband, whom God used to save my life a year ago today. If it wasn’t for him, I probably wouldn’t be here today. He was there to save me and because of him, there was minimal damage done and I am eternally grateful. 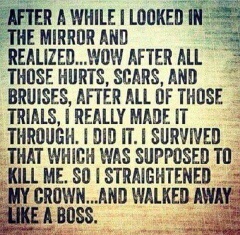 But I wanted to share my story with you all today. I never heard of an AVM, let alone knew I had it. I guess you can say what I had was closely related to a brain aneurysm in a sense that the AVM ruptured which caused my bleed (I don’t even know if I am explaining this correctly). But you can find more information on AVMs and brain aneurysms on The Aneurysm and AVM Foundation webpage.